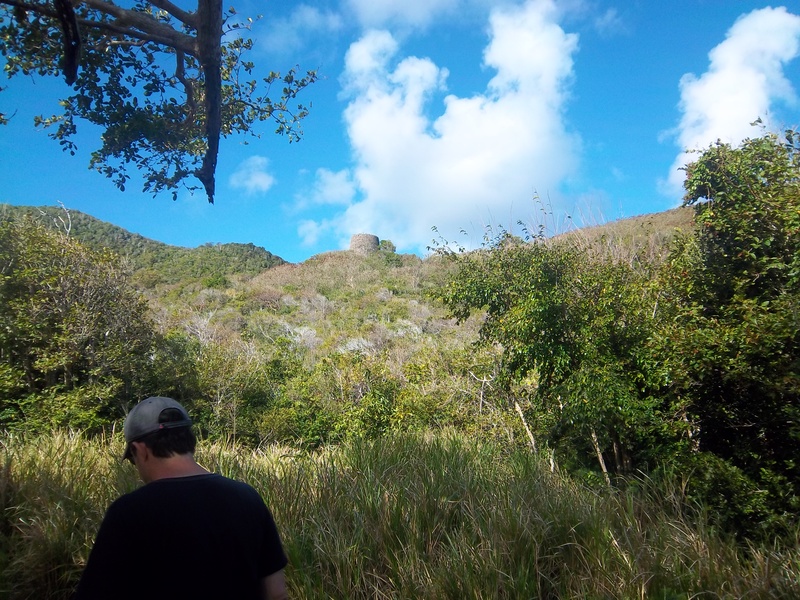 I don’t know if the hike from Davis Bay to Wills (sometimes called Annaly) Bay is the most popular tourist hiking tour on the island or not, but I do know that the last time I hiked it, I saw more different tourist groups and more individual tourists than on any other trail I have walked on St. Croix. 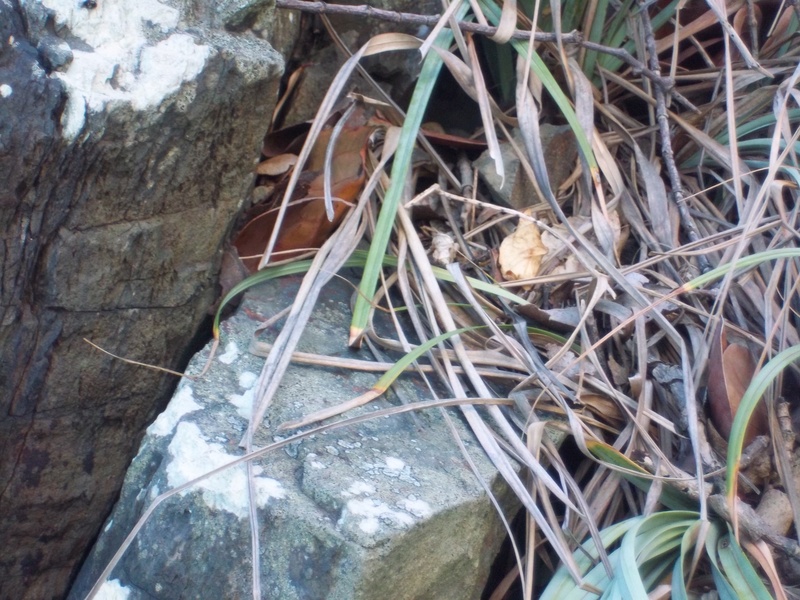 Part of the reason is that Carambola has done much to promote hiking from their resort and the start of the trail is very clearly marked from the hotel area and perhaps slightly less clearly marked starting from non-guest parking but you can ask at the guard house. 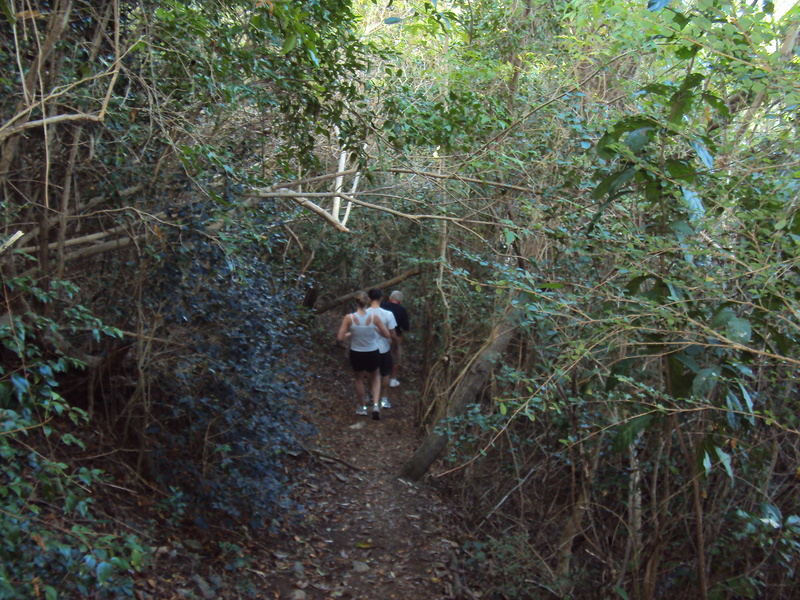 The trail actually runs from the Carambola Parking Lot in Big Fountain across Estate Sweet Bottom and down into the Wills Bay Baths area. You can actually reach Annaly Bay from Wills Bay but that is a separate challenge. 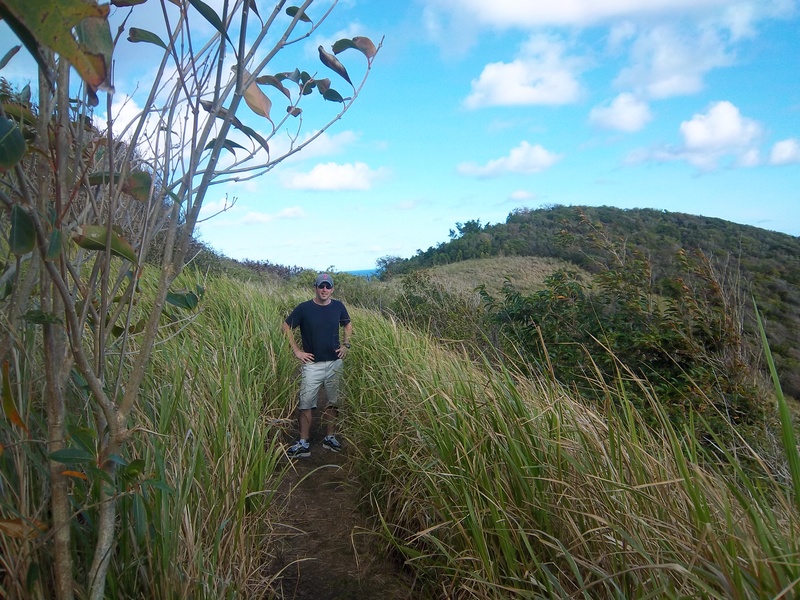 Despite the fact that this hike get rave reviews on tripadvisor.com, I am too spoiled by thirty years of living and hiking on St. Croix to believe that this is either one of our best trails or best hiking destination. I yield that it is an incredibly beautiful second growth forest along an easy to follow trail but I am equally aware that the trail and the destination can be dangerous with many people returning bruised and battered particularly on rainy days or when the sea is rough and from the north east. 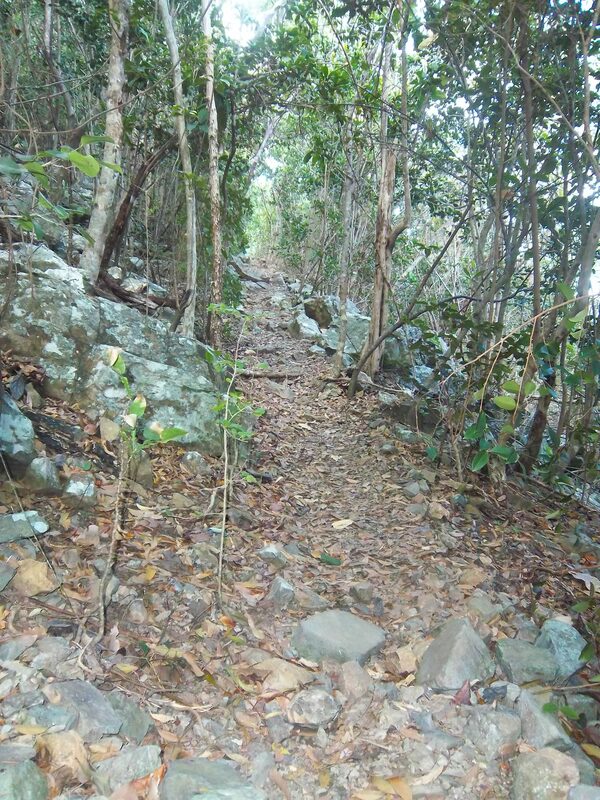 Pictures taken along the trail shows that it passes areas which are covered with leaves which are slippery when wet. Also, areas of the trail are rocky creating tripping hazards along the trail and there is a tree line with a steep drop-off on one side. Fortunately, there are plenty of young saplings to provide handholds as you walk. Eventually you emerge from the forest into what was formerly cattle grazing land and is now host to Guinea Grass and Tan Tan saplings. This portion of St. Croix was never occupied by either Indians or Plantation owners as there was not enough water to support a community and it would have been near impossible to bring water in from the east side because the nearest fresh water was at Estate Prosperity with high hills and deep valleys in between. To the West there were inaccessible hills. Because the hills are high and steep, the water runs down hill at speeds which prevent much soil building during normal periods of rainfall and during a deluge, the surface and bay is stripped of all loose soil and the heavy surf in the bay keeps the stones mobile so there is no soil or sand build up on the beach. 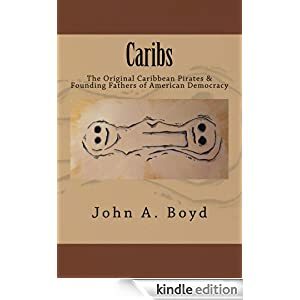 Estate Wills Bay probably avoided slash and burn agriculture until the second half of the Eighteen century when sugar Cane became an obsession in St. Croix and someone figured out they could roll molasses and sugar barrels down hill to the bay and float them off shore to a larger ship. This is probably the way any large timber was harvested in the area before the remnants were burned. 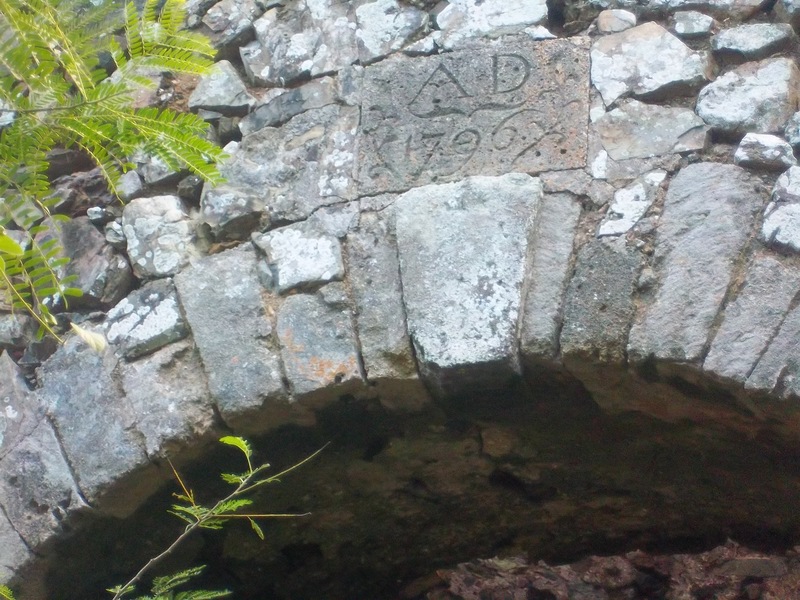 The water export route was risky and dangerous with the surf at Wills Bay but apparently sugar became valuable enough that somebody was willing to take the risk and the Wills Bay Mill was built in 1796 at the 200 foot level well below the 700-800 foot hilltops. This made cane growing possible as the cane was cut, carried down to the mill and the end products most likely exported by water. After cane production was no longer economically feasible, the land eventually reverted to cattle raising. 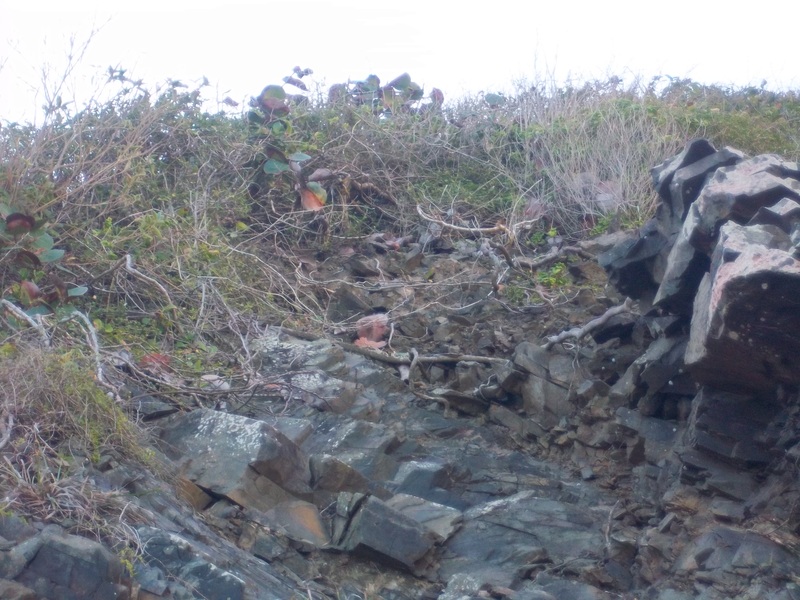 Since all of the forest is secondary as is the grassland, and the historical record is limited to only one Sugar Mill erected in 1796, the only part of the Wills Bay trail that I find totally fascinating is the Geology. 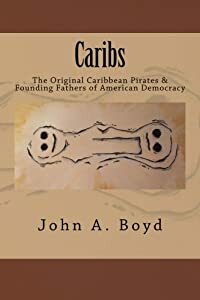 The bottom of the Caribbean sea was formed 100 million years ago and was the classic sedimentary rock composed of alternating layers of compressed mud, sand and animal skeletons very cleverly identified as mudstone, sandstone and limestone but mostly mudstone. On top of that were millions of years of volcanic ash and bolders spewed into the atmosphere which settled to the seafloor but no igneous lava flow. This moderate compressed ash is locally called rotten rock and technically is called tuffaceous. Because tuffaceous rock is compressed volcanic ash, it is a glassy brittle substance which will fracture along it’s visible layer lines and in every other direction. Thus, the local name is rotten rock. 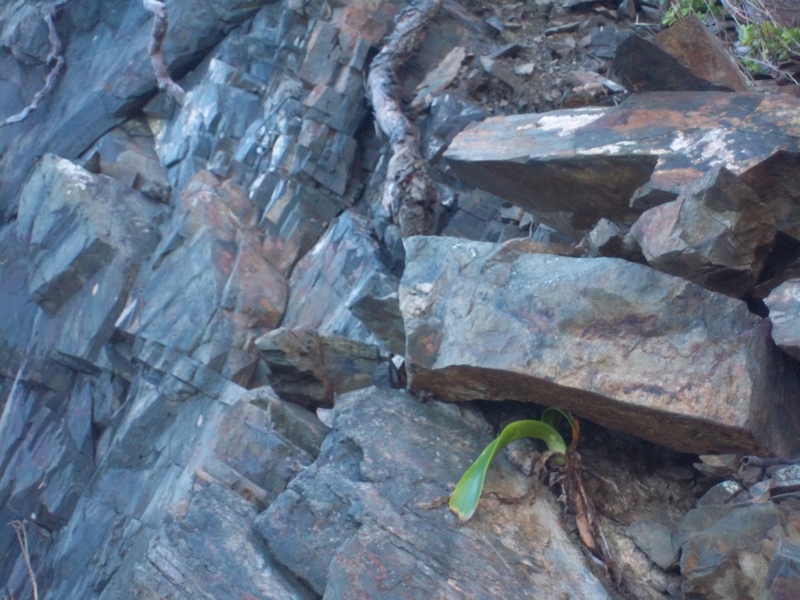 The dominant plant on the slope above is seagrape. 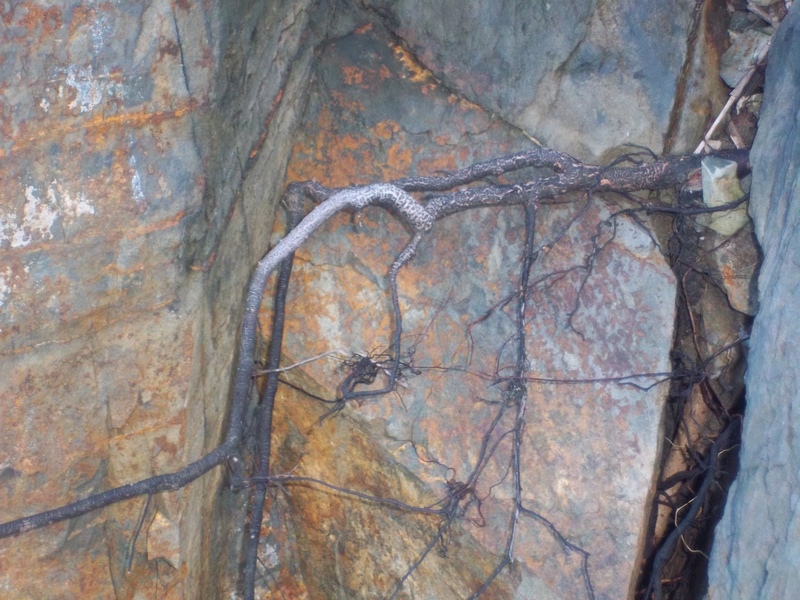 Those plants which survive have traveling root structures and it’s not just trees like seagrape that fracture the soil. Some of the cracks occurred in the original up-lifting of the seafloor as the North American Plate placed pressure on the Caribbean Plate, fracturing it with massive earthquakes and causing a large landmass to rise 65 million years ago which added to the Hams Bay- Caledonia Mountains to the far west which are composed of the older and much harder underlying-sedimentary rock. Of course, some of the cracks are assisted in spreading by the growth of much smaller plants which are more delicate and probably wont survive for very long such as the grass above. I was very surprised to find the native and delicate Spider Lilly doing its part in creating sand and soil. 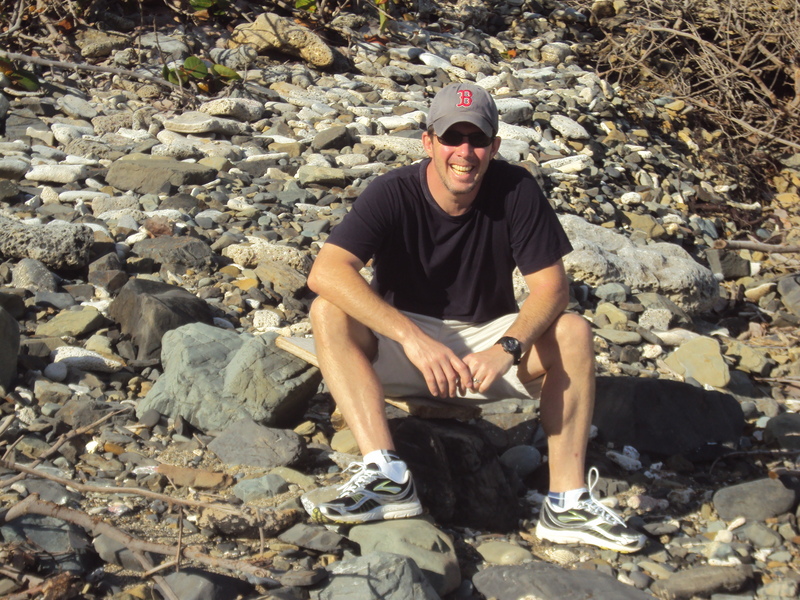 But alas, most who come to Wills Bay do not come for the lesson in Geology, History and Soil Building, They come to see and visit the baths at the other end of the bay and when the sea is cooperative, the hike can be done without too much bruising or permanent damage. You can climb the rocks and jump into the baths over and over as my grandchildren are prone to do or you can just float in the protected waters of the naturally formed coral baths. I usually skip the swim and just walk the area looking for natural clues to the past 65 million years of history. 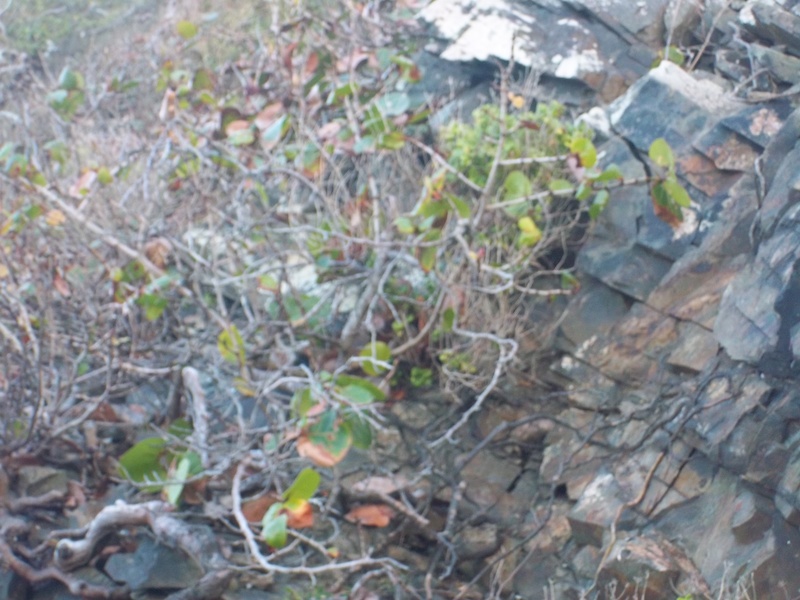 This entry was posted in Annaly, Carambola Trail, St. Croix Plants, Sweet Bottom, Uncategorized, Wills Bay and tagged St. Croix Geology, St. Croix Hiking, St. Croix History, St. Croix Plants, St. Croix Vacation. Bookmark the permalink.